The upcoming December 8 showdown between boxing's top pound for pound performer Floyd Mayweather and British wrecking ball Ricky Hatton has captured the imagination of fans of the sport the world over as the date draws near. 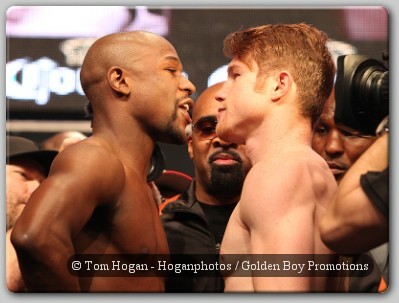 Most in the media are tipping Mayweather to extend his dominance over the sport with a comprehensive victory over Hatton. But the hopes of an entire nation are riding on the shoulders of the stocky Mancunian as British fans are banking on the idea that once again "The Hitman" can return to the Colonies with the intent of proving his legion of American doubters wrong. The Brits are a hardy lot and when they love, they love hard but in this instance, their affection for Hatton's Vegas dream will be crushed by the flying fists of none other than the man they love to hate, Floyd "Pretty Boy" Mayweather. Mayweather became a world champion when Hatton was still fighting no hope Englishmen in leisure centers and has faced so many top class opponents since that time that it this piece would have to be a multi-part article to fully cover the quality of opposition in his career. Oscar De La Hoya? Defeated. Diego Corrales? Defeated. Arturo Gatti? Defeated. Jose Luis Castillo? Defeated. Twice. The notable opposition of Hatton, on the other hand, share a common theme in that they were all older fighters on the downside of their careers when they were beaten by the world junior welterweight champion. Kostya Tszyu? 35 years old. Jose Luis Castillo? 33 years old. Ray Oliveira? 36 years old. Vince Phillips? 39 years old. The remainder of Hatton's best opposition, Ben Tackie, Carlos Maussa, Juan Urango, Luis Collazo and Eamonn Magee, were not top class fighters, regardless of whether or not they held "world titles" when they were beaten by the Englishman. This discrepancy in fighters faced will be made painfully clear when Hatton steps into the ring with Mayweather and is unable to land anything of consequence on Floyd and will be beaten to the punch at every turn. The chief danger to "Pretty Boy" will come as "The Hitman" realizes for the first time in his career that he's in with a far superior fighter and will seek to turn a Floyd Mayweather boxing clinic session into a course at Ricky Hatton's school for street fighters. 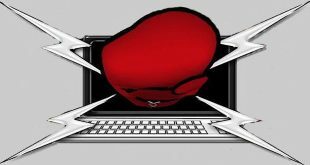 But Mayweather is too smart to be drawn into a contest of elbows, headlocks and low blows and will likely use his superior footwork to avoid allowing Hatton to get into a position where he can mount that kind of campaign. It's debatable whether Hatton can even win a round against Mayweather as the modern day great from Michigan will be looking to cement his claim of being the greatest boxer to ever lace up the gloves.